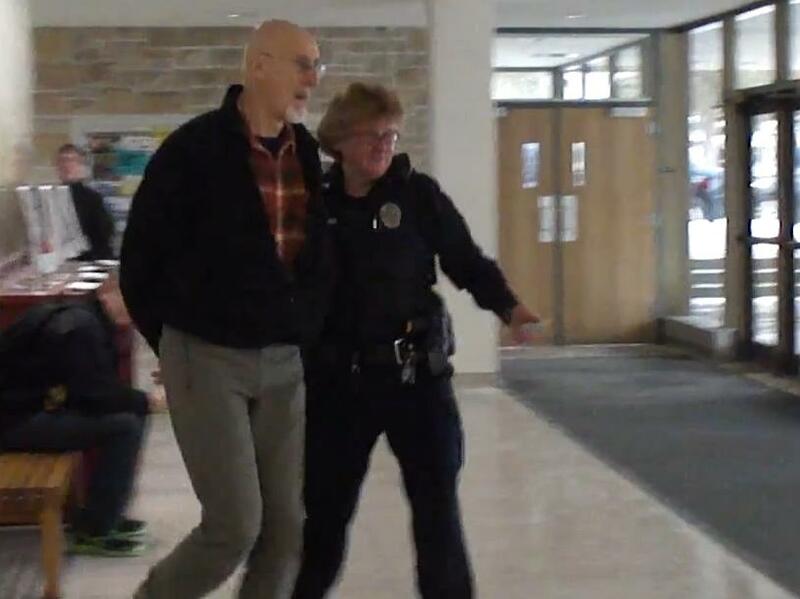 Campus police led the Oscar nominee away from the University of Wisconsin (UW) in Madison during a protest staged by People for the Ethical Treatment of Animals (PETA) activists on Thursday morning (07Feb13). Prior to his arrest, the actor said, “The University of Wisconsin may think that grant money matters more than animals’ suffering, but the public who unwittingly funds this cruelty demands an end to these hideous experiments. Thursday’s protest comes two weeks after PETA officials sent a letter to the UW Board of Regents describing the abuse of nine other cats in the same laboratory where Double Trouble was killed. The protesters asked the regents for an immediate end to the cruel experiments but received no response. James Cromwell arrested for cat abuse protest | Hollywood.com. This entry was posted in Animal News, Antivivisection, Companion Animals, UW Madison and tagged board of regents, James Cromwell, PETA by forallanimals. Bookmark the permalink.